LEGO Star Wars Chirrut Îmwe Star Wars Toy - 51% Off! Home Amazon LEGO Star Wars Chirrut Îmwe Star Wars Toy – 51% Off! LEGO Star Wars Chirrut Îmwe Star Wars Toy – 51% Off! Hurry and get the NEW LEGO Star Wars Chirrut Îmwe 75524 Star Wars Toy today for only $12.21 (regularly $24.99) from Amazon! 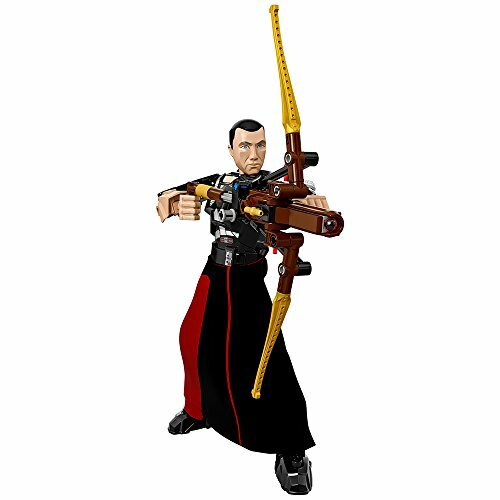 Trust your senses with this buildable and highly posable Chirrut Îmwe LEGO Star Wars toy figure. Featuring his folding bowcaster with spring-loaded shooter, textile tunic and decorated elements, this sturdy and durable figure is perfect for reenacting action-packed scenes from the blockbuster movie, Star Wars: Rogue One. Buy the LEGO Star Wars Chirrut Îmwe 75524 Star Wars Toy from Amazon. Next articleWilson Traditional Soccer Ball (Size 5) Only $9.37!